Hanami is the traditional Japanese custom of admiring the beauty of cherry blossoms blooming in the spring. We are fortunate in Toronto to have some beautiful Japanese sakura trees that were a gift from the citizens of Tokyo. It has been a very cold spring, so the sakura trees didn’t reach their peak bloom until early May this year! On Sunday, Kevin met up with PlasticFantastic and Sam for some early morning photos at High Park. 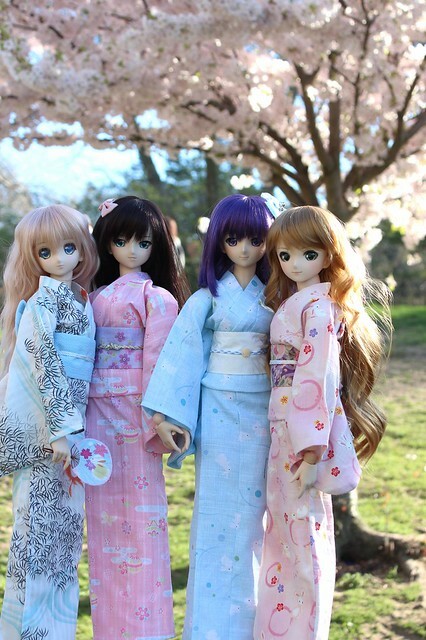 Here are Madeleine, Rin, Sakura and Melty wearing lovely spring yukata in homage to this lovely Japanese tradition. The morning light is very soft and the girls look so pretty. 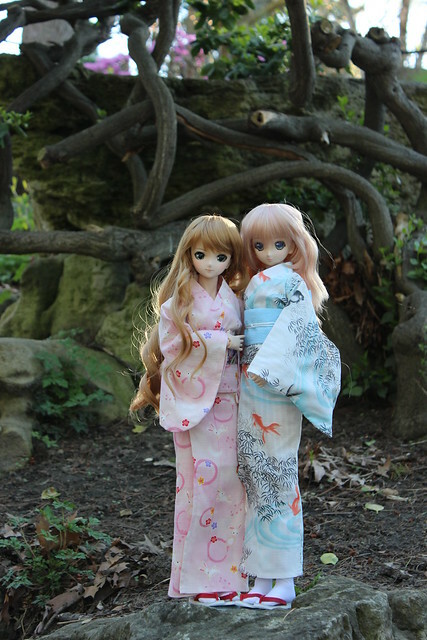 Melty is PlasticFantastic’s newest girl, and she looks so pretty in this pink bunny-print yukata. It looks so calm and serene, but Kevin told me that by 9am the park was filled with people! I was pretty bummed that I couldn’t join them, since I was working, but hopefully the flowers and weather would hold out for a few days so that I could head to the park too! 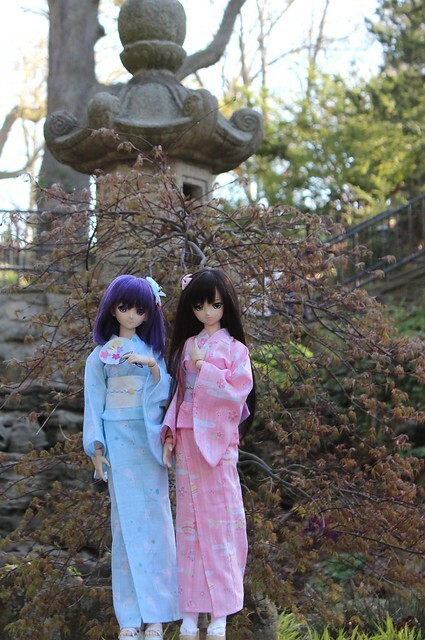 This entry was posted in Doll Meetup, Dollfie Dream and tagged Dollfie Dream, hanami, Melty, Rin, Sakura, yukata by archangeli. Bookmark the permalink.